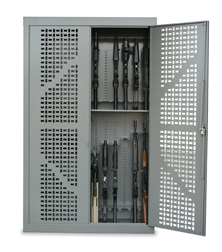 TSI Weapon Storage Cabinets are designed for storage of any size rifle, shotgun, handgun or personal defense weapons stored vertically or horizontally. Components are secured inside our ALL STEEL cabinets with perforated or solid steel doors (single, double or triple access) and can be configured in any manner you require. 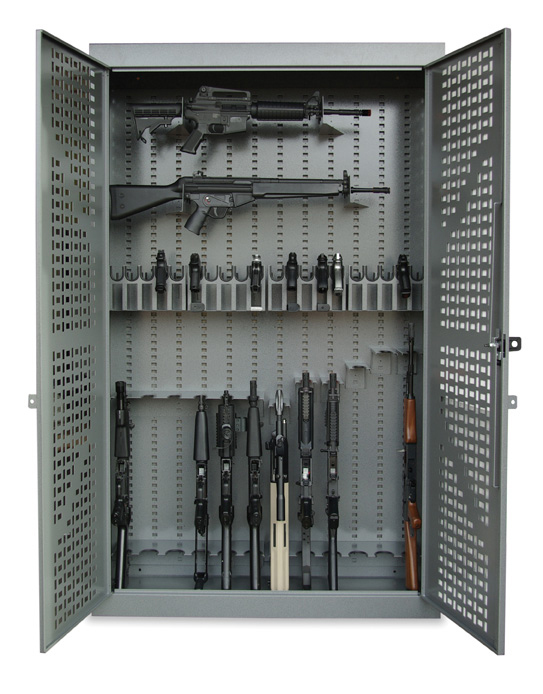 Choose from two different height cabinets and a host of interior components to configure your cabinet into a custom solution for secure weapons storage. TSI Weapons Storage has become the storage system of choice for Police Departments, Sheriffs' Departments, and Military Arms Rooms across the country. 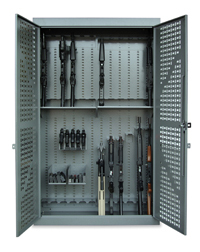 All of the TSI Weapons Storage Products and components are constructed with all steel construction. Our perforated steel doors allow for visual inventory. Our products are designed to secure any size rifle, shotgun, or handgun including storage for the M2 50 cal. Pricing. TSI has competitive pricing and customer service designed to ensure our clients receive the best service after the sale. We have been in this business for years with a model that encourages our customers to stay with us for years. Ask for our military and law enforcement pricing by calling us toll free at 1-877-593-5888 or by completing our form on the contact page. 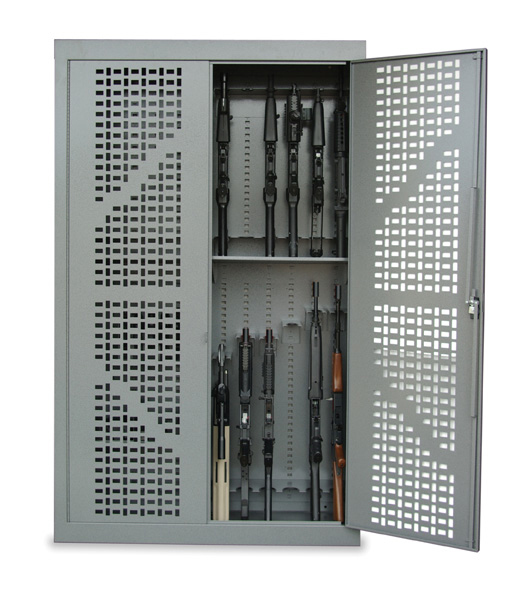 TSI Universal Weapons Cabinets are designed for storage of any size rifle, shotgun, handgun or personal defense weapons stored vertically or horizontally. Components are secured inside our all-steel cabinets and can be configured in any manner you require. Save space by stacking one rack on top of another and back-to-back. Easily configured or re-configured when the need arises. Choose from two different standard-height cabinets and a host of interior components to configure your cabinet into a custom solution for secure weapons storage. 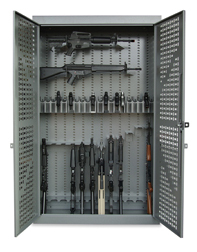 TSI Universal Weapons Racks were conceived to answer the need for flexible small arms storage. House your weapons vertically or horizontally with attached accessories such as scopes and grenade launchers. These racks are only 15 inches deep and can be located anywhere that space is at a premium. c.2015 Technical Solutions Inc. All rights reserved.